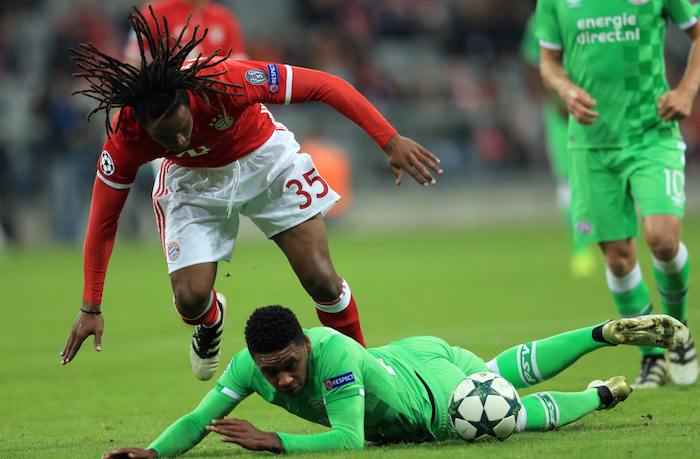 Bayern Munich starlet Renato Sanches has been named the 2016 European Golden Boy, an annual prize awarded to the best young player in European football. The teenager has enjoyed a meteoric rise over the past year as he impressed in Benfica’s starting lineup, grabbing the attention of some of Europe’s biggest clubs before eventually signing for Bayern Munich in an initial €35-million deal that could be as high as €80-million dependent on variables. Sanches’ star shined even brighter still when he starred in Portugal’s Euro 2016 triumph, in which he was arguably the side’s key player over the course of the knockout phases. The midfield wonderkid joins a list of distinguished stars who have previously received the accolade, including the likes of Manchester United star Wayne Rooney and Manchester City forward Sergio Aguero. Another Red Devils youngster Anthony Martial picked up the honours last season, while the likes of Mario Balotelli and Paul Pogba have also claimed the prize in recent years. The prizegiving is only set to take place on Monday evening in Monte Carlo, but ceremony organisers have allegedly already confirmed Sanches as the winner to Tuttosport, who announced it on their front page. Manchester United youngster Marcus Rashford and Sanches’ Bayern teammate Kingsley Coman complete the top three on the podium.